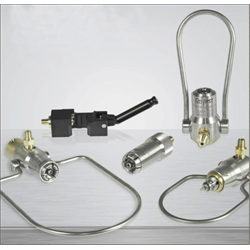 Ratermann Manufacturing, Inc.offers FasTest high-pressure, gas filling connectors which have a proven track record with over a decade of service in the field. 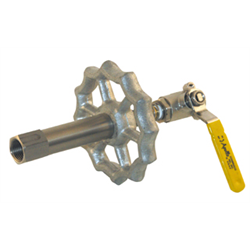 FasTest gas connectors offer a No-Twist, No-Turn approach to cylinder filling. 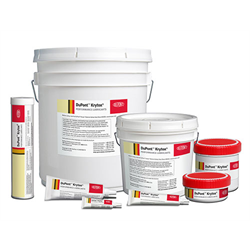 Under pressure, a secure, leak-tight seal is established with a patented safety locking mechanism. The advantages of this design give FasTest customers the edge through ergonomic efficiency and increased productivity, resulting in greater profitability. 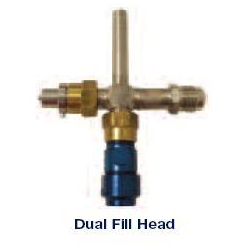 FasTest Gas Filling Connectors will improve your cylinder filling performance, whether it is one cylinder at a time, inverted rack filling, or palletized cylinder filling. Ratermann Manufacturing also carries a full line of Push2Fill and Puritan Bennett brand valve connectors. Need additional help? 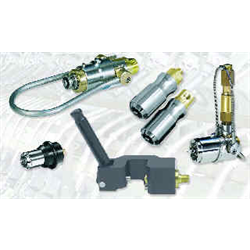 Call 800-264-7793 and we will be happy to assist you with your Cylinder Gas Valve Connector needs.